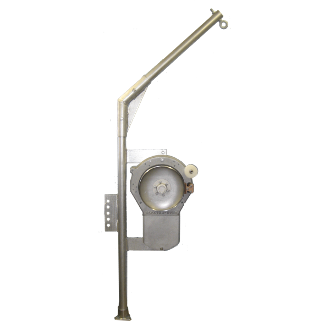 The D1000 davit is constructed of Series-80, 2 inch aluminum pipe, ideal for rough seagoing duty. Includes adjustable T adaptor and galvanized eyebolt to attach to most gunwales. Mounts easily to the deck as well. Accepts all current Electra-Dyne haulers.